Who would we be without our friends? The friend I have had for the greatest length of time (I can’t say my “oldest” friend, she’s not) is standing in the middle of this group of neighborhood children celebrating my birthday. 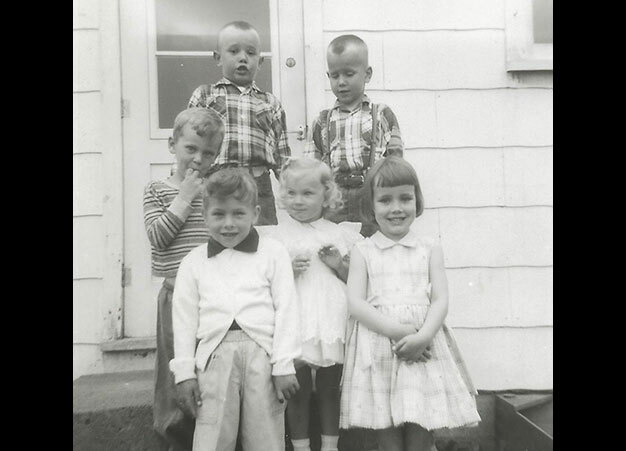 The sweet blonde standing next to me (lower right) is very dear to me. I grew up in the Twin Cities, in an apartment in a complex with few children nearby. I waited until my summer vacations and holidays, spending time with my grandparents in my hometown, to see my best friend. Once I started working (at 16) and stopped traveling to that hometown (my grandparents moved to another city), we lost touch. Each of us married, our names were different … even though I searched, I could not locate her. I am grateful for Facebook … we found each other again. A couple of years ago, we traveled for hours to have lunch together. I couldn’t stop smiling. For all of us, time passes but friendship bonds sustain us.